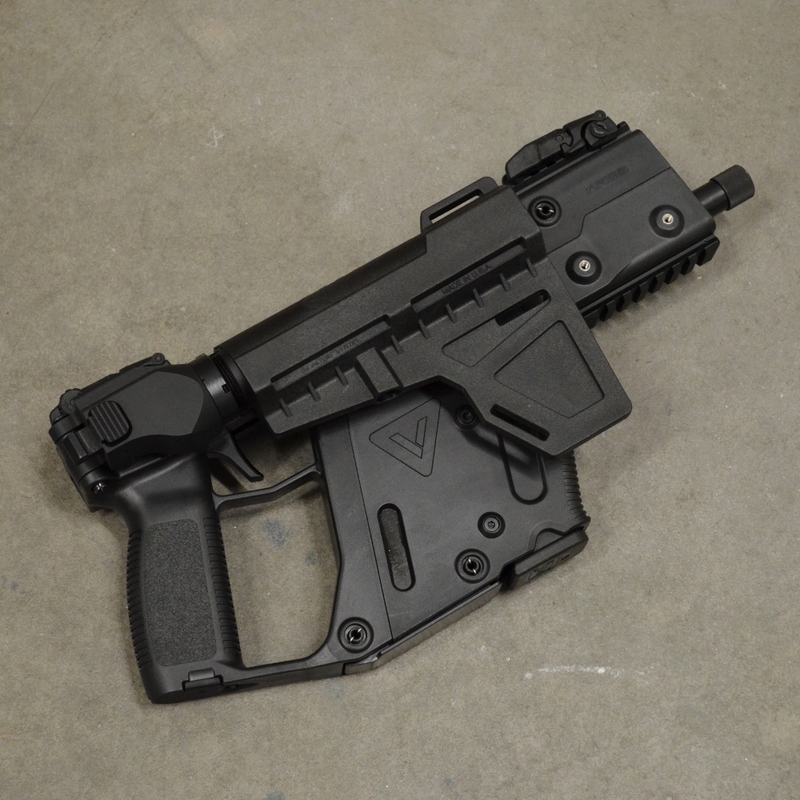 Folding stock adapter for Kriss Vector Gen 1 and Gen 2 (pre-2017 type) firearms! 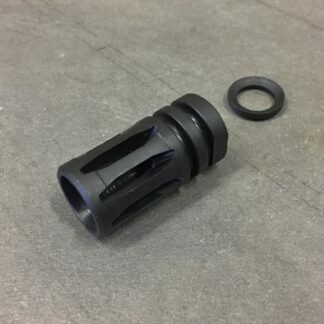 Our folding stock adapter is beautifully machined from solid billet aluminum and is compatible with all AR pattern buffer tube and stock/brace assemblies. 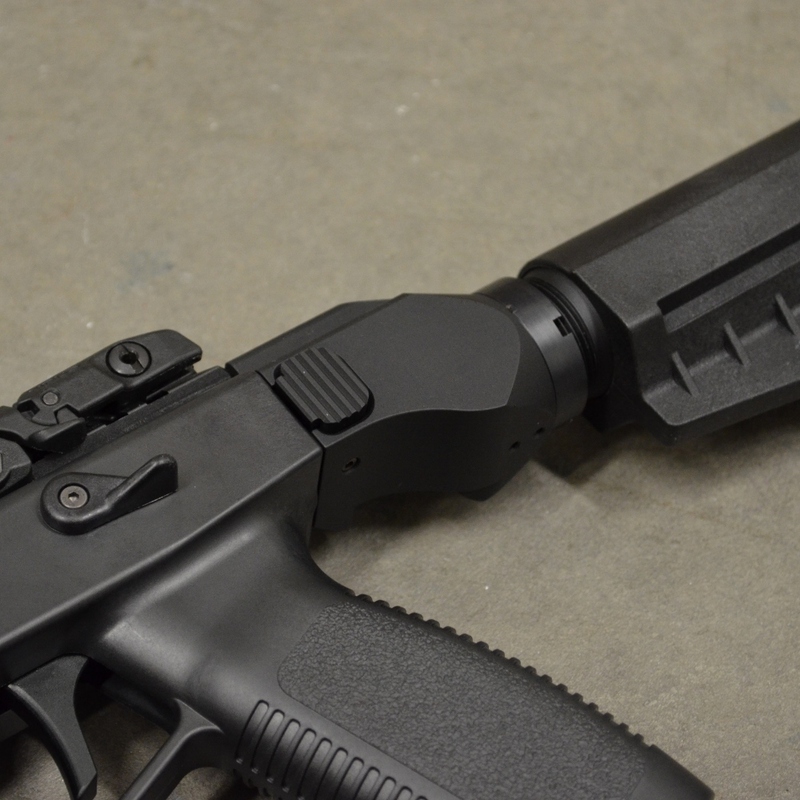 Includes factory Kriss USA receiver pin for seamless attachment to the upper receiver. 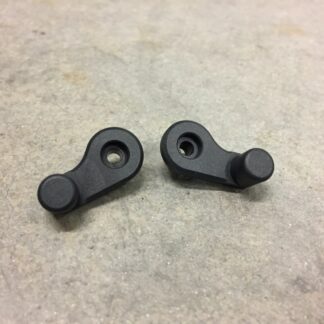 Great care has been taken to design the most comfortable and most functional folding adapter that is a true upgrade over the fixed factory rear trunnion. 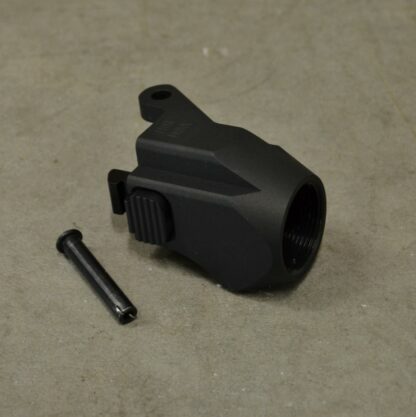 Our folding adapter allows operation of the safety selectors and trigger while the stock is folded/stowed. 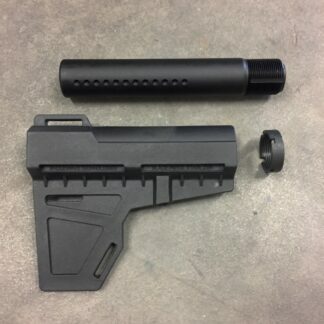 Our folding adapter also has a more generous relief contour over the shooters operating hand, with surfaces that flow off the back of the receiver and completely over the hand providing for a high and comfortable grip that allows the shooter to take full advantage of the Vector’s low bore axis. Our folding stock adapters fit both Gen 1 and pre-2017 type Gen 2 Kriss Vectors. 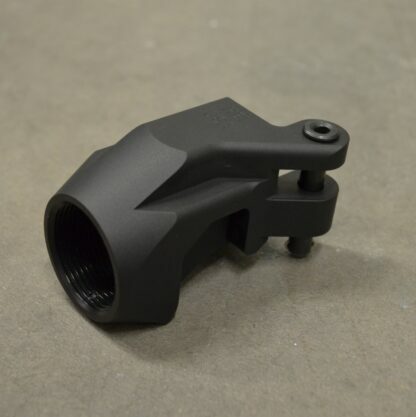 Machined from billet 6061T6 aluminum and hard coat anodized to MIL-A-8625. NOTE: Kriss USA appears to be still shipping TWO types of “Gen 2” Vectors. There is a Gen 2 with a HINGED rear trunnion and a Gen 2 with an AR BUFFER THREAD rear trunnion. The Gen 2 models with the HINGED trunnion are known as “Gen 2 Pre-2017”. 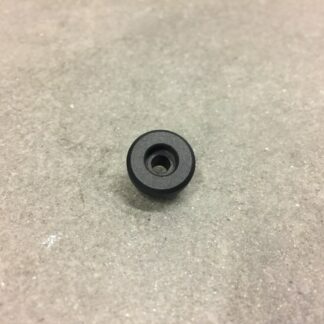 The Gen 2 models with the THREADED trunnion are known as “Gen 2 B” or “Gen2.5” or “Gen 2 Post-2017”. This adapter will ONLY fit the Gen 2 Pre-2017 style receivers with the HINGED rear trunnion. If you are not sure which model you have please contact us and we will help you to determine which style you have. Great addon for any Vector CRB out there. 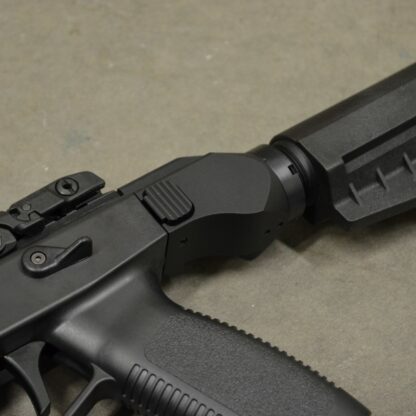 Easy install with my Magpul UBR. I just wish the stocks had some kind of notch for brass ejection when folded, or some kind of locking clip. But that’s not HB Industries’ fault so I’m not docking them anything. I have had this for a while and love it. Shame on Kriss for not making the brace model foLd from the factory. This adapter is very well made. The lockup is rock solid. Mine was a little stiff at first, a small amount of oil made it run perfectly. I wish HBI offered the option of FDE cerakote or anodizing, that about the only improvement they could make to it. Love this addition for SBR, but I would like to see a new version that stays locked when folded like the scorpion adapter. Also the spring/botton has difficulty locking down right away. I might try a stiffer spring but these are my 2 dislikes, but totally worth the money for this modification. 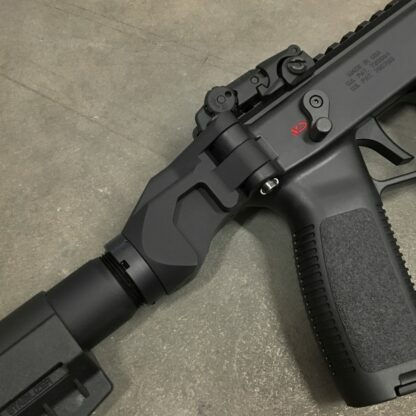 Now having the scorpion folding adapter I wish this one was more like it because I prefer my vector over the scorpion.